Aircrack- ng is a complete suite of tools to assess WiFi network security. It focuses on different areas of WiFi security: • Monitoring: Packet capture and export of data to text files for further processing by third party tools. • Attacking: Replay attacks, deauthentication, fake access points and others via packet injection. • Testing: Checking WiFi cards and driver capabilities (capture and injection). • Cracking: WEP and WPA PSK (WPA 1 and 2). All tools are command line which allows for heavy scripting. A lot of GUIs have taken advantage of this feature. Electronic ebooks free download. Ramesh free, introduction to Linked Lists and dynamic 2- dimensional arrays). It works primarily Linux but also Windows, OS X, FreeBSD, OpenBSD, NetBSD, as well as Solaris and even eComStation 2. //Install Macports. //Install aircrack-ng: sudo port install aircrack-ng //Install the latest Xcode, with the Command Line Tools. //Create the following symlink: sudo ln -s /System/Library/PrivateFrameworks/Apple80211.framework/Versions/Current/Resources/airport /usr/sbin/airport //Figure out which channel you need to sniff: sudo airport -s sudo airport en1 sniff [CHANNEL] //New Terminal Window aircrack-ng -1 -a 1 -b [TARGET_MAC_ADDRESS] [CAP_FILE] // Notes: the cap_file will be located in the /tmp/airportSniff*.cap. 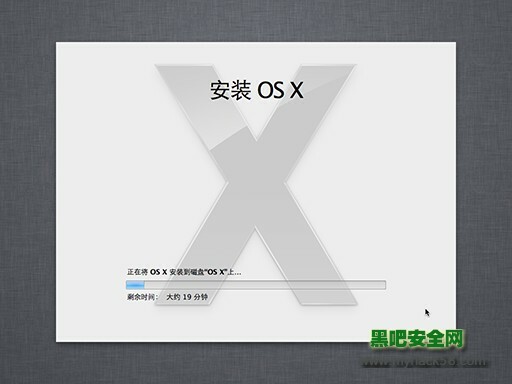 Guide to install AirCrack-ng on Mac OSX 10.8 Mountain Lion in 5 simple steps. What is Aircrack? Aircrack-ng is a network software suite consisting of a detector, packet sniffer, WEP and WPA/WPA2-PSK cracker and analysis tool for 802.11 wireless LANs. It works with any wireless network interface controller whose driver supports raw monitoring mode and can sniff 802.11a, 802.11b and 802.11g traffic. The program runs under Linux and Windows; the Linux version has been ported to the Zaurusand Maemo platforms, and a proof-of-concept port has been made to the iPhone. Instructions to install AirCrack-ng on Mac 1. Download and install Xcode Xcode Information – Download Link – / 2.Download Xcode Command Line Tools Developer Website – To install the tools, go to the Downloads tab within the Xcode Preferences menu and click “Install” next to the Command Line Tools entry. Download and install MacPorts The MacPorts Project is an open-source community initiative to design an easy-to-use system for compiling, installing, and upgrading either command-line, X11 or Aqua based open-source software on the Mac OS X operating system. To that end we provide the command-line driven MacPorts software package under a BSD License, and through it easy access to thousands of ports that greatly simplify the task of compiling and installing open-source software on your Mac. Download – 4. Install aircrack-ng on Mac OSX. June 23, 2017 Amber. About the App. App name: aircrack-ng; App description: Next-generation aircrack with lots of new features. Open Terminal and Update Mac Ports sudo port -v selfupdate 5. Install AirCrack-ng sudo port install aircrack-ng. Jimoody It’s killing me off. MacPorts doesn’t want update itself. And Aircrack doesn’t want to install.